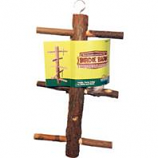 Crafted from all natural bird safe twigs and branches. 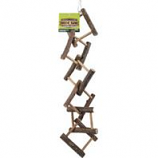 Great multi level cage fun for birds and some small critters. Fits most small or medium cages. Promotes natural chewing behavior. Great for healthy beak conditioning. Crafted from all natural bird safe twigs and branches. 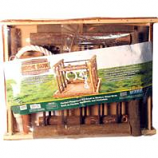 Great multi level cage fun for birds and some small critters. Promotes natural chewing behavior. 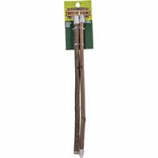 Great for healthy beak conditioning. .
Crafted from all Natural Bird Safe Twigs and Branches. Promotes natural chewing behavior. Great for healthy beak conditioning. 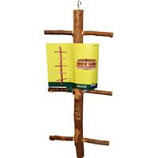 . .
Crafted from all natural bird safe twigs and branches with natural fiber rope. 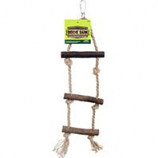 Great multi level cage fun for your feathered friends. Promotes natural chewing behavior. 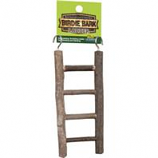 Great for healthy beak conditioning. .
Crafted from all natural bird safe twigs and branches. Promotes natural chewing behavior. Great for healthy beak conditioning. Hours of fun for small to medium birds parakeets and cockatiel. .
• Made Out Of Lima Root, The Natural Irregular Shape Of This Perch Provides Exercise As Birds Walk. 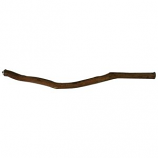 • Lima Root Is An Ultra Hardwood Used For Long-Lasting Durability. Crafted from all natural bird safe twigs and branches. Promotes natural chewing behavior. Great for healthy beak conditioning. 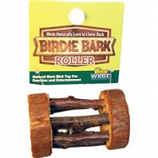 Hours of foot fun for your feathered friend. .
Natural durable hardwood from florida. The textured surface and irregular shape is easy for your bird to grip. 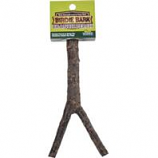 Helps exercise your birds legs and feet and strengthens muscles. 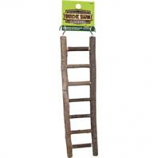 Heavy-duty bolts on the ends ensure a secure sturdy attachment. • Designed To Keep Birds Perched On The Middle To The End, Rather Than Near The Cage.